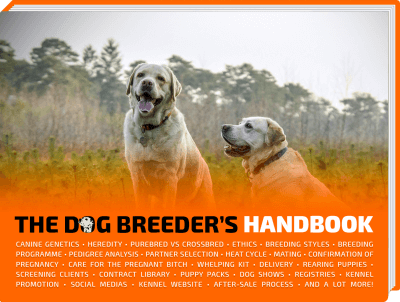 Breeding Business is a cornerstone platform for dog breeders to learn modern knowledge about dog breeding, but also to share any concerns they may have. This is a letter by Ray St. James from New York, about measures decided during the American Kennel Club’s Board Meeting on August 7th, 2017. As founder and admin for the largest online South African Boerboel group, I was highly disappointed to discover that the AKC board of directors submitted a motion for a proposition removing “Limited Registration“. This action is extremely concerning on a few levels. One immediate negative attribute to this, in my opinion, would be the removal of the current minimal “checks and balances” system the AKC has in place regarding new and or potential breeders. Having limited registration as a tool allows for breeders to monitor and control who is breeding their dogs and line. 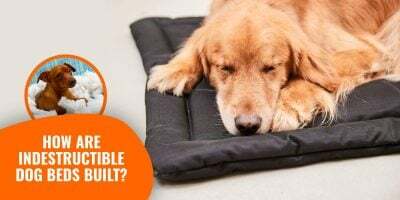 They are able to restrict AKC access on new pups until they are able to make an informed judgment on whether or not to allow an owner to have breeding rights enabling them to then experience all the benefits of full registration. Lifting this eliminates any limitations and allows for all that seek to breed to gain full AKC benefits regardless of breeder opinion on merits of litter and or potential owner’s ability to breed. 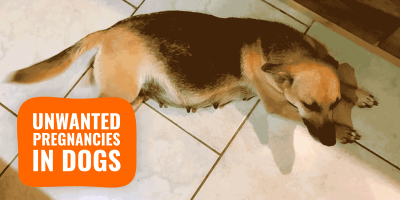 Obviously, the breeder can enforce with alternative methods such as contracts. However having the AKC back you up and limiting access is a huge benefit and effective tool to monitor and control on behalf of the breeder. Denying them of this is not in the best interest of the breed and or part of breed improvement. Mr. Sprung reviewed Action Items, and reported on staff initiatives. There was discussion by the Board concerning reporting of efforts to increase registrations, entries and breeders as well as focus by staff to convert registrable dogs to registered dogs. There was debate about the impact of limited registration. It was the sense of the Board that limited registration was negatively impacting entries and registration totals. There was a motion by Mr. Wooding, seconded by Dr. Davies, and it was VOTED (unanimously), to instruct the Executive Secretary to send a memo to the Delegate Dog Show Rules Committee asking them to consider a rule change that would eliminate limited registration. Mr. Sprung agreed that the staff can provide parent clubs with statistics on litter, dog and limited registration for their respective breed. In addition, I find the reasoning behind looking to implement this new strategy equally disturbing. The AKC BOD cites basis all around the concept of improving revenue based on increased registration and or event participation. Isn’t an Organization built on improving the breed supposed to make decisions that are in the best interest of the breed and not based on profit? Not only did the board put the motion forward to advance to the next step of the approval process, but they also voted unanimously to do so. That means not one member viewed this proposal as something that could have a negative impact on the breed and monitoring who is breeding. Again, as the number one breed organization in the USA that is supposed to protect and better each breed that is housed this suggestion is not supporting that concept. I understand that many will feel the breeder can still monitor and control unwanted reproducing using other means. That is true, however, why deny them of a current tool to aid in the process? If the goal of the AKC is truly to improve, protect and better the breed why make a decision that contradicts those things? All propositions put forth should support those concepts and enhance them as time goes by not strip them down. A breeder uses AKC as a promotional tool many times to build trust and confidence in the owners that they are reputable responsible breeders belonging to an organization that has rules regulations and guidelines when it comes to breeding practices. Yet, this proposed change is opening the floodgates and basically saying, breed the dogs no limitations and get full registration perks. Again, how is the breed improvement and protection? An organization cannot preach and advocate they are supporting a specific belief and then conduct themselves in a manner that contradicts those exact notions. I have heard the rebuttal to this newly raised motion from AKC club reps stating “well it’s not passed yet so we can fight it and stop it”. Now how does that make any sense? Why should the supporters and ethical breeders have to fight against the organization they pay to be members of in order to follow through on the marketing belief system they promote to the general public? So in other words, AKC BOD can submit a change under closed doors without any member input, vote on it unanimously to proceed to the next phase and then it is up to the member base to find out about this going on, jump in, fight it, and then prevent it from passing. Aren’t the members and the AKC supposed to be on the same page with the core belief of protecting the recognized breeds? Again, that is unacceptable. The organization protecting and promoting breed awareness and improvement should be leading the charge with the support of its members to make certain all actions taken are in the best interest of the breeds and not motivated by increased revenue. 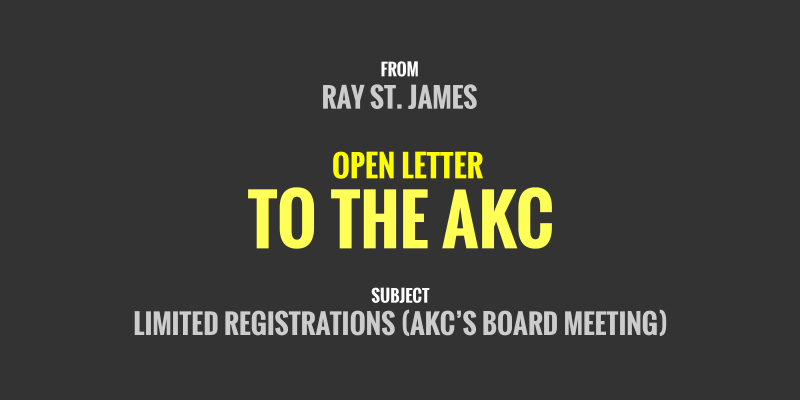 The AKC Board of Directors needs to take a step back understand what the goals of the Org are and be sure to enact rules and regulations to support those objectives not oppose them. In the simplest of terms, this proposed change is not for the betterment of the breed and should be halted immediately. I am not saying this one rule is protecting the breeds now, as we all know unfortunately many breeds are suffering at the hands of uneducated owners supporting subpar breeders. However, why continue to take away any rule or regulation that attempts to enforce the concept of breed improvement and protection? The opposite should be happening. Rules should be getting put in place that allows for the quality of moral breeders to excel and the substandard dishonorable “breeder(s)” to fail. The AKC should be working hand in hand with the breeders and members making certain all are trying to adhere to guidelines, conditions, and procedures that are in the best interest of the breed they admire. Regardless of how you twist and turn this proposition the mere fact that it has been brought up and voted on unanimously to further advance in hopes of enacting is extremely disheartening. 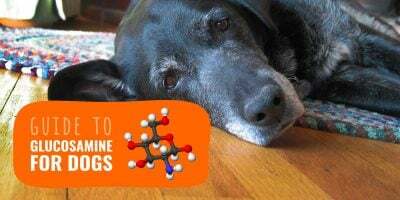 Hopefully, the individuals involved realize the message this is sending and how it reflects on the AKC and its agenda and reconsider by eliminating the proposition. You may find and contact Ray St. James directly on Instagram and Twitter at @boerboelowners – thanks! Instead of taking away our tool, as a breeder, to limit rights to puppy owners, how about allowing limited registration owners to show in every discipline. That should be what is being brought forward in consideration to be voted on. As a breeder, I encourage my puppy owners to fully health test and title their dogs, prior to wanting to breed. AKC wants to remove this tool. I agree whole-heartedly with this letter! Taking away limited registration is not the way to make more money. It just makes backyard breeders and puppy mills seem more ligitamate. 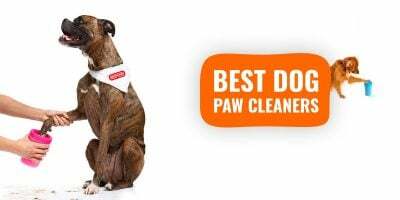 As a pet groomer, who also shows and believes in responsible breeding practices and pet ownership, there are plenty of other ways to increase membership in the AKC. Better education of the public is the big one that comes to mind. 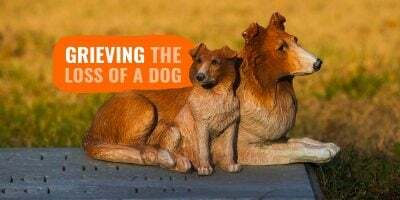 In an era where “designer breeds” are all the craze this points to a failure of education of the public on why responsible breeding practices are so important and what pure bred dogs are all about. Registered dogs is not the status symbol it once was. Many people are completely content with just having a good pet dog they paid very little for and just dealing with the consequences as such. Now a status symbol is owning a mutt they paid ungodly amounts of money for. The public is severely undereducated and this is the result. This is the fault of the local kennel clubs as well as the AKC as a whole. It is the fault of ever responsible breeder and ever person who strives to preserve the pure bred dog. Until we all stand up and reeducate the local public that owning a pure bred dog bought from a responsible breeder , whether you register it or not, has way more benefits than buying a over priced mutt or a “purebred” from Cheap-O dog breeder, AKC will continue to loose registrations, purebred breeders will be unable to sell as many puppies, and the pure bred dog world as a whole will suffer. I am 100% disappointed in the AKC BOD for not seeing the reality in this situation. Taking away limited registration practices for breeders is a slap in the face to the people who support and keep AKC going. Limited registration is not being used properly. It is being used to prevent competition from other breeders, to get more money by selling a full registration, or to retain control over the new owners after sale of the puppy. Recall the fact that limited registration has not been around forever. It was originally made available to encourage breeders to provide papers with their puppies, when many breeders were withholding the papers, thus reducing the number of registrations. Its purpose was to encourage breeders to provide papers with puppies that should not be bred because of a disqualifying fault. It was not supposed to be used to make more money for breeders or to enable control freaks. Anyway, I agree with the finding that limited registration is doing more harm than good, and I would be glad to see it go. It doesn’t even prevent breeding, so I don’t understand why people even bother with it. Lots of AKC limited registered stock are producing Continental Kennel Club registered pups.